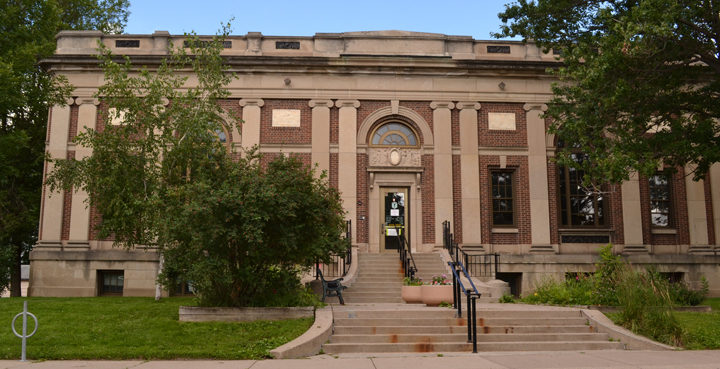 Saint Paul’s East Side Freedom Library has received a $25,000 grant from the John S. and James L. Knight Foundation to support a founding, large-scale arts project in the Phalen neighborhood’s Beaux Arts Carnegie Library. The grant, library co-directors Peter Rachleff and Beth Cleary said, will contribute to the re-purposing of the library building as an educational and cultural center focusing on labor, immigration and civil rights history and art. Artists will be commissioned in the final project to work on silk screens and prints for the 12 architectural rondelles that line the main floor, a mural link the main floor with the lower level, four new tables featuring design and carving methods of East Side immigrant communities, and panels for art exhibits. Conversations among artists, residents and translators will be documented and made available in the library’s collections, deepening the center’s mission of linking history with culture. “This project will help weave the arts into people’s everyday lives, and use the arts as a lens for examining the community’s history,” said Dennis Scholl, vice president for arts at Knight Foundation. The East Side Freedom Library also announced last month a new film-and-discussion series, co-sponsored by the library and the St. Paul Federation of Teachers, that will explore the topic of education. Films will screen the second Tuesday of each month, beginning at 6 p.m., inside the library, located at 1105 Greenbrier St., St. Paul. Screenings are open to interested community members of all ages. The debut screening Nov. 11 will feature “Granito de Arena (Grain of Sand),” an award-winning 2005 documentary that follows Mexican teachers’ efforts to put forward, with parents, students, and community members, their own vision of reform in the face of budget cuts, privatization and standardization of curriculum and testing. For more information on East Side Freedom Library programming, go to www.eastsidefreedomlibrary.org.